A week before Comex, Dad casually commented that the current digicam has battery problems. So since Comex is around the corner, I decided to buy a new camera for Dad. I was looking for a compact camera that is cheap yet delivers good performance. While I do not expect the top-of-the-line features, the functions must be reasonable and the user interface should not be sluggish. I was pleasantly surprised to find a good buy at the Samsung booth. The Samsung ST60 has similar user interface as the ST550 that I currently own. The ST60 is slim and has a metallic body similar to Canon S90 but at a smaller and slimmer form factor. 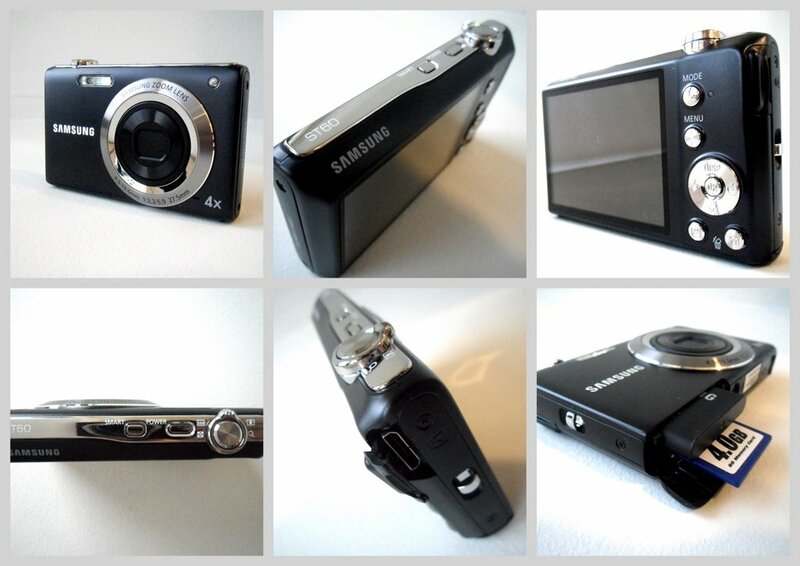 Its lens is 27.5mm wide, a 4x zoom, 12.2 megapixels, and supports 720p HD video recording. The zoom motor is speedy and the 2.7inch LCD screen is clear. I chose the black colour, which gives a very classic and elegant look. All these for less than S$200. The minor gripe I had was the icons are embossed onto the silver buttons and so it is not easy to identify the functions of each button at one glance. The card-battery compartment door is also not very well-built. One has to slide with care and make sure it’s properly closed. Good thing that the multi-function port (for charging and data transfer) is located at the side so I can still access the SD card slot while charging. I only had a few hours to fiddle with it before I passed to my Dad during dinner that evening. I was glad he likes the camera, which will come to good use during his company trip next month.